Understand what "classic" really means with the Sofft Madina high heel pump. 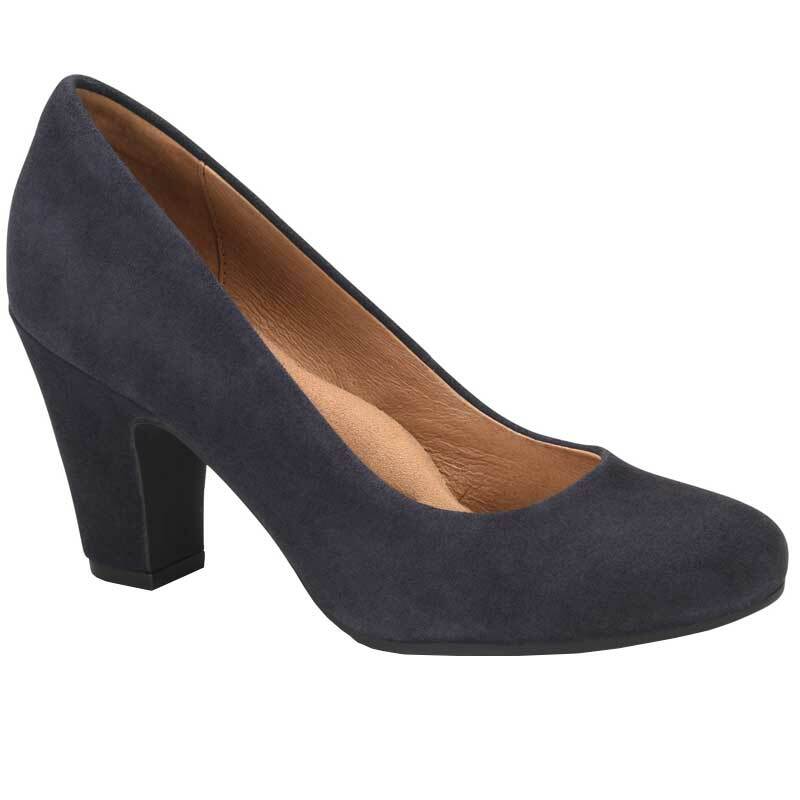 The full grain or suede leather upper is extended all the way down the heel for a professional look. The leather lining is easy on a bare foot, while the signature Sofft cushioned and supportive footbed lends to all day comfort. Feel sturdy in a heel that is just the right width and height to take you from this decade to the next in the stylish Madina pump.